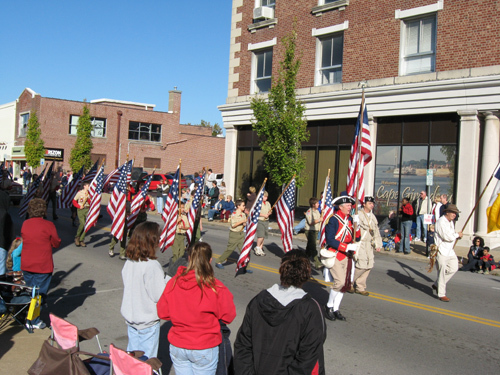 In the left photo, the Allen Laws Chapter, Cape Girardeau, MO, and the MOSSAR Color Guard are shown here participating in the annual Cape Girardeau, MO Parade on Saturday, November 1, 2008 along with Boy Scout Troop 5 who assisted by carrying 27 Flags. In addition, there was a truck with MOSSAR banners behind the MOSSAR Color Guard carrying MOSSAR members (NOT VISIBLE). 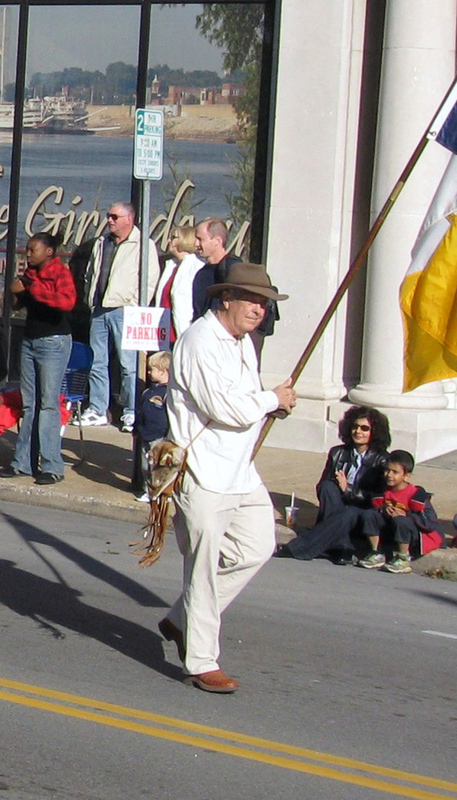 In right photo, a member of the Allen Laws Chapter, Cape Girardeau, MO and MOSSAR Color Guard is shown here participating in the annual Cape Girardeau, MO Parade on Saturday, November 1, 2008. Left Photo (L-R): Compatriots Beasley, Miller, and Webb.